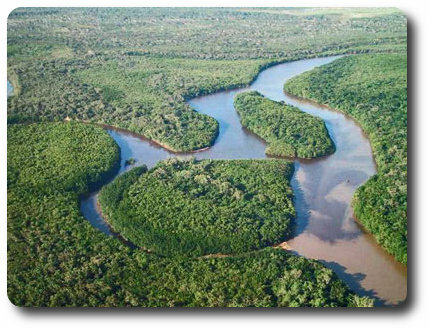 The Endeavour River is wide at the mouth, and progressing north, lined with over 25 species of mangroves. As it branches it changes dramatically to narrow creeks lined with palms and rainforest flora. It is along the Endeavour River that Solander first documented much of Australia's flora. The Endeavour River offers very good mixed fishing right in the heart of Cooktown on a river steeped in history. This river is a great example of how a tropical estuarine system should be. Deep holes, submerged timber, sand flats, smaller inlets and tributaries, weed beds and all your mangrove species in one river. By casting lures to the numerous snags and fallen giants of the rainforest that litter the waterway, you will be bound to catch either the predominant species, barramundi or jacks, fingermark, trevally, barracuda or sharks. Brilliant family fishing can also be had on the local wharf and immediate vicinity using a variety of methods. Many big barra, Spanish mackerel, queenfish and trevally are landed here throughout the year. To really explore the system and appreciate it a boat is necessary. Bring your own, hire a tinny or take advantage of a local guided charter. If you enjoy lure/fly casting a vessel equipped with an electric motor will provide you with lots more opportunities and a heap more fun. Boats can be launched opposite the seaview Motel or at the Marton boat ramp 10 minutes north of town. The best time for croc-spotting is during the winter months of June-August on a low tide. Saltwater crocodiles are most commonly seen in the North Arm of the River, with many different-sized crocs reluctant to slide back into the cold water.